As I sit here writing this post, my stomach is filled to the brim. I couldn’t eat another bite. I’ve indulged in turkey, gravy, cranberry sauce, sweet potato casserole, stuffing, Asian salad, chocolate rugalech, pumpkin chocolate chip cake, and dark chocolate peanut butter banana ice cream. I can’t eat any more. I can’t even think about food. Ok, maybe I can think about food a little bit. 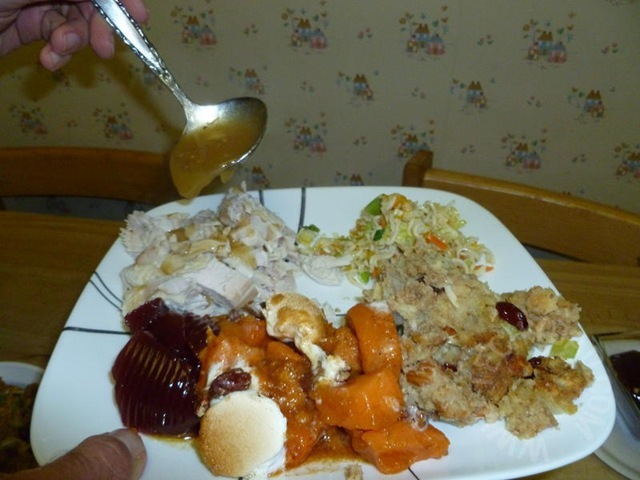 Thanksgiving, to me, always means certain dishes. It just doesn’t feel like Thanksgiving otherwise. 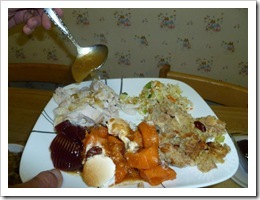 Of course, one is turkey and another is stuffing. The dish that most says “Thanksgiving” to me, though, is sweet potato casserole. Growing up, my mother and I seemed to have a ritual. 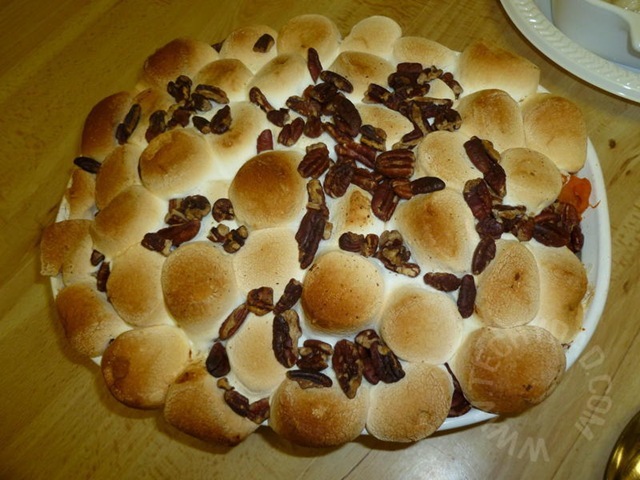 Every year, she would make a sweet potato casserole topped with marshmallows. Every year, I would eat the marshmallows and leave the “yucky” sweet potatoes behind. Every year, my mom would bug me to try a little bit of sweet potato. I never would. 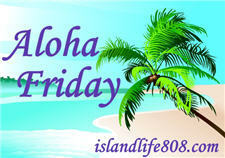 My Aloha Friday question for today is: What Thanksgiving food brings back memories? Chestnut stuffing my grandmother used to make. The stuffing is special for me. Lots of memories. Turkey. When I grew up, it was sucktastic, but when I first got married, I found a majorly awesome recipe that Hubby now cooks every year. Can’t beat it! 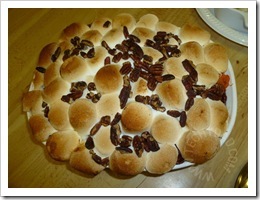 Sweet potatoes with marshmallows broiled on top. Yum!